Today I came across a great idea on Google+: Use coins as flooring – preferably one cent pieces (that are even taken out of circulation in some places). With a bit of resin on top, this ingenious flooring solution adds sparkle and a wonderful warm glow to a room. 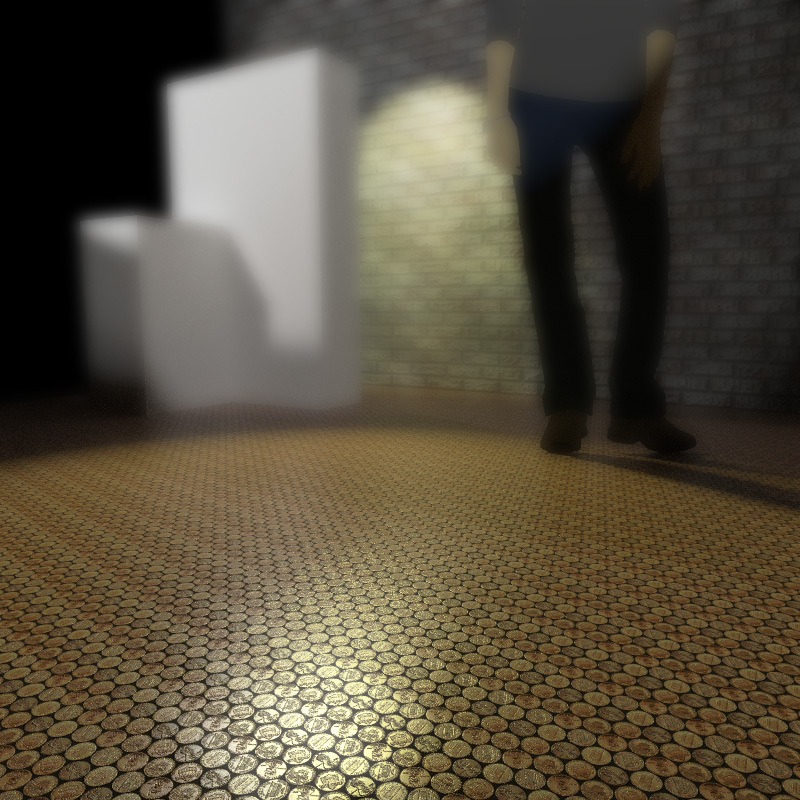 While adding this to a real floor should be pretty labor intensive, as it turns out, creating a texture for rendering proved quite easy. You can grab the diffuse texture as well as the bump map from my flickr pages by clicking on the images below and then use them in your own projects. The texture repeats a bit, so make sure you adjust its rotation a bit to remove that effect. 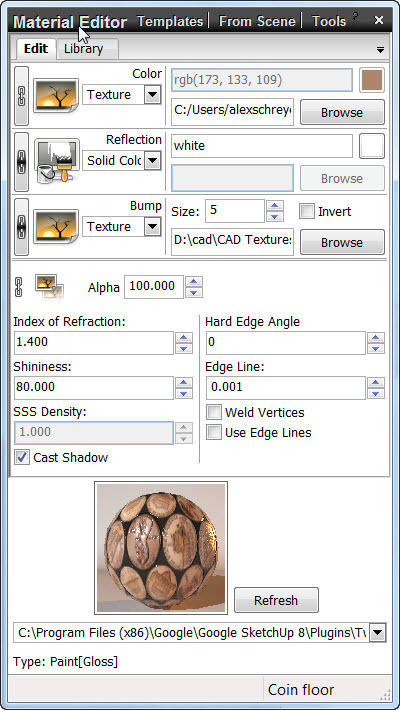 Also, you might want to add the bump texture into the reflection channel to only have the pennies reflect.